Home » Food Products » Top 5 Nut Butters! Meet peanut butter’s cool, smart and versatile cousin – nut butter! Peanut butter has long been a cupboard staple, but in recent years a whole host of different nutty spreads have made their way onto mainstream shelves. They are as delicious as they are nutritious and have a wide variety of different uses – dolloped into smoothies, mixed with quark, spread onto crackers, or swirled into banana ice cream. 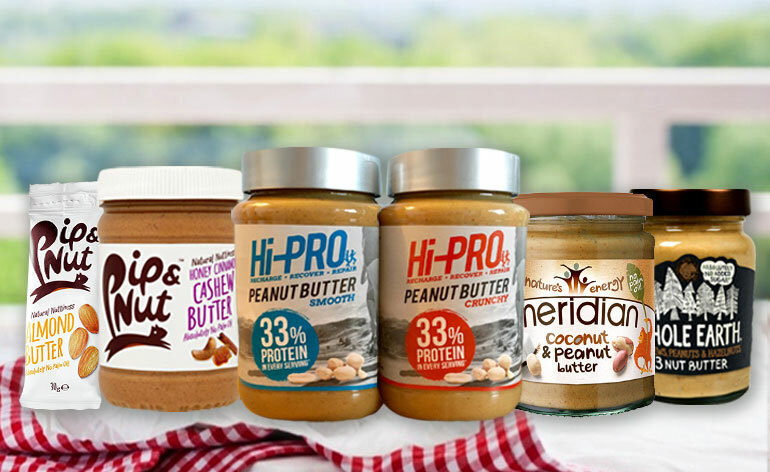 Read on for our Top 5 Nut Butters! The best in a range of consistently delicious products, Honey Cinnamon Cashew is a dream in paste form. Imagine if someone blended up a cinnamon raisin bagel and you’re about there – sweet, warmly spiced and with a nutty, yet not distinctly cashew-like, taste. Meridian’s Coconut and Peanut Butter only contains three ingredients (peanuts, coconut and honey) but my, does it pack a fully-flavoured punch! It has a thicker consistency than the Pip & Nut products which is more akin to regular peanut butter, so a great way to add a twist to the classic peanut butter and jelly. In comparison to peanut butter, almond butter is claimed to be higher in vitamin E, magnesium and iron, which can help with a range of things from neutralising free radicals, aiding vigorous muscle contraction and supporting your metabolism. 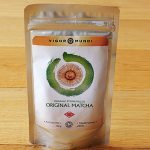 Like many nut butters, the oil in this product tends to separate and makes for quite a silky consistency when mixed in – perfect for spreading over crackers or mixing into smoothies. This one is great for increasing your protein intake without even trying. It contains 33% protein in every serving, compared to roughly 20% in regular peanut butter. It uses sucralose as a sweetener so contains almost two thirds less carbohydrate, a solid product! This is definitely more of a savoury tasting spread, which prides itself in containing ‘absolutely no added sugar’. Also in the range is a Peanut, Pecan and Walnut spread if a combination of flavours is right up your alley. It is also made from sustainable palm oil, so ticks the environmental box too. Nut butters are so versatile and as the market grows they are increasingly being made with new and exciting combinations and flavours. You can now choose a nut butter based on your nutritional and fitness needs, as well as preference for taste, texture and ingredients. Next time you’re in the supermarket, put down the same boring jar of peanut butter and try something new to shake up your diet and your taste buds! Top 5 Yoga Poses For a Powerful Core!